The front door can say a lot about a house, either reflecting the condition of the space within or contradicting it. A beautiful, sturdy door with quality hardware greets the visitor with a confident hello; a weathered door, perhaps out of alignment with old or poorly functioning hardware, conveys something quite different about the house, something unappealing. Just as a person can be judged within the first few seconds, a house is judged in great part by the condition, functionality and look of its front door. When showing properties to prospective buyers, I’m always surprised to find an older home that has been upgraded, but the owners haven’t paid proper attention to the front door, especially its hardware. If the door needs painting or is warped and if the hardware is tarnished and in poor working order, a pall can be cast over the entire house. Perhaps some homeowners are unaware of a deteriorating front door. Many people enter a side entrance or into the mudroom or kitchen. However, visitors normally come only to the front door. While the functional purposes of a front door are to withstand the elements, help toward energy efficiency and provide protection, visitors view it as an aesthetic statement, even a psychological one. If the door is attractive and in good shape, that perception extends to the entire household – and to its owner as well. Look at your front door and determine whether it needs simply sprucing up or a total replacement. Some door problems can be repaired and others cannot. If the door is improperly hung, has trouble closing or latching, is slightly warped or is just sticking, these problems may be worth fixing. But if it has rot or is outrageously outdated in style, consider replacement options. Whether you use a contractor or a handyman, get different opinions about which kind of new door to choose. Some would suggest that the top-quality material is still wood. Steel or aluminum may be recommended as the most sturdy and secure, but according to most remodeling contractors, the best choice today is the new high-quality fiberglass door. The insulation quality of the latter is better than that of a wooden door and it will not warp or crack. The feature I like best about a good fiberglass door is that the manufacturers have managed to develop an incredibly realistic grain that matches real wood. Also, the number of door styles are plentiful with beveled glass options available. Fiberglass can be stained or painted and fancy hardware can be applied to them, just as you would a wood door. Door hardware, which in aesthetic terms, can make a door “pop.” But if it’s worn, that pop can be a dull thud. The polished look is one factor, but a lock and handle’s functionality are the primary things to consider. Basically, locksets fall into two different categories, mortise or cylindrical. While I don’t fully understand the difference in mechanical workings, my trusted locksmith tells me that mortise locksets, which are installed into a rectangular dugout in the door, offer the ultimate in security, design and ruggedness. The choice of locksets and handles can be a daunting experience. When I went hunting for new hardware, I was overwhelmed by the selection. I took a picture of the set I thought the most attractive and showed it to my locksmith. I asked him to supply the best choice for my particular door. Better to leave such things to the experts, unless you’re a great do-it-yourselfer, which I am not. Highly polished solid brass knobs, backplates, thumblatches are desirable but, fair warning, they can be quite expensive. When it comes to selecting a color for the front door, it is a situation of relating to, or contrasting with, one of the other tones found in the house or the landscape that surrounds it. Many people today choose a deep green or red (which has many hues such as black cherry and adobe) to have their front doors stand out. There is a bigger trend now toward selecting yellow, which can be toned down with a covering glaze. One cardinal rule about color: a front door should never be stark white. The theory is that the door should relate to the landscape in some way and pure white is rarely found in nature. If your preference leans toward white, it should have a hue of another color, such as pink or yellow. The large casing around the door should be a different color than the door itself. The casing should be treated like a trim, matching windows and other trim. For both curb appeal and resale value, spruce up the front door, and in a sense, you have a new home. Special Free Offer: Search the Multiple Listing Service like a professional realtor by signing up for a free account at www.TheHomeGuru.Listingbook.com. 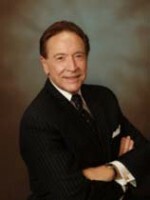 Bill Primavera, while a publicist and journalist, is also a Realtor® associated with William Raveis Real Estate and Founder of Primavera Public Relations, Inc. (www.PrimaveraPR.com). To engage the services of The Home Guru to market your home for sale, call 914-522-2076.